All new 360 Browser revolutionizes web browsers with an incredibly fast Webkit engine, along with various customization options to better suit your web experience. 360 Browser is simple, secure and most of all an intuitive browser. With new features such as Dual Engines, Ad Filter, Video Pop-out and Secure Browsing just sit back and discover life on the Internet through 360 Browser. 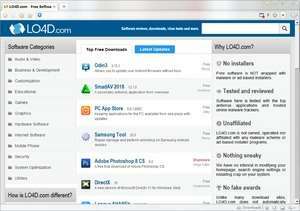 For security reasons, you should also check out the 360 Browser download at LO4D.com which includes virus and malware tests. Additional screenshots of this application download may be available, too.